Enhanced Reporting & BI: New business intelligence dashboard reporting capabilities (including refreshable Excel reports), Business Analyzer and more. Improved Mobility: A new HTML 5 Web Client allows access to Dynamics GP from nearly any device and web browser, including iPad, Mac, Chrome, Safari, Firefox, and of course, Internet Explorer. Workflow and Document Attachment: Enhanced workflow functionality, including improvements to purchase requisitions, AP invoices and HR self-service, and the ability to attach documents directly to transactions. Cost-Effective Implementation:On-premise or cloud-based deployment options, including Microsoft Azure. Let us provide you with a quote. Just fill out the form below and our team will contact you to gather system details, answer questions and deliver a quote. TAKE A TOUR: WHAT’S NEW IN MICROSOFT DYNAMICS GP 2016 R2? THEY UPGRADED MICROSOFT DYNAMICS GP. IS IT TIME TO CONSIDER UPGRADING FOR YOUR TEAM? 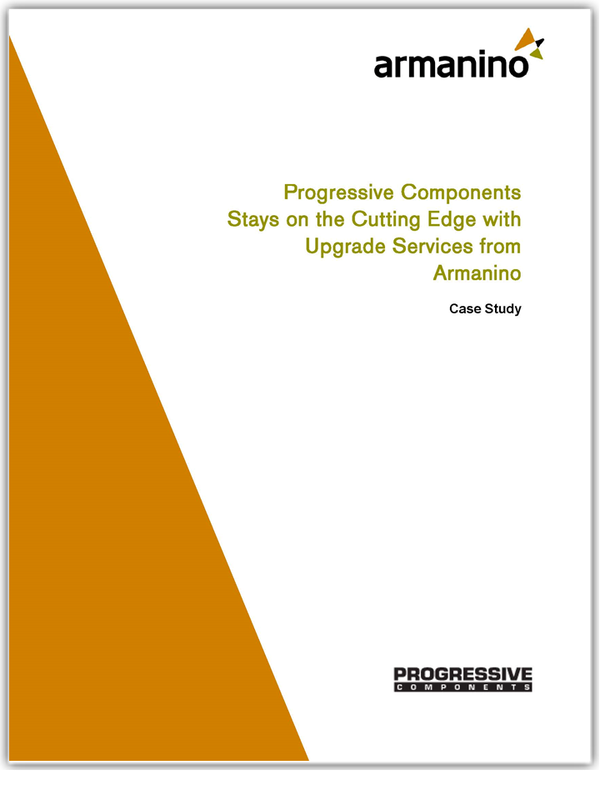 Read the upgrade story from one of our clients and see firsthand how Armanino made their Microsoft Dynamics GP upgrade a success. Discover how an upgrade can make a huge positive impact for your team. Q: What is included in my upgrade quote? Have third-party add-ins? No problem, because we work with all of the most common ISV's and upgrade those code bases. Have Custom GP code or integrations? We've got your back! Our knowledgeable developers and our in-house integration team are here to make sure your valuable investment keeps paying off. Upgrading from Dynamics GP 10 or 2010? Not a problem, because we’ll help you transition to Management Reporter (MR) from FRx including the full conversion of your FRx reports to MR, and offer in-depth training to your end users, in your Statement of Work. Which version of Dynamics GP are you running and which Service Pack is installed? How many company databases will be upgraded? How many User IDs are in your system? Do you wish to do a test upgrade prior to your ‘production’ upgrade? Which tool are you using for financial reporting, and are you using Analytical Accounting? Do you use Account Sets, Effective Dates or Exchange Rates in your FRx reports? Which, if any, third-party add-ins are you using? What special integration needs do you have? Do you wish to explore any specialized training as part of the upgrade project? Contact a client representative at 925-790-2873 or email us with any Microsoft Dynamics GP upgrade questions—or to get started with your free assessment and quote! Armanino is a Gold Certified Microsoft Dynamics Partner, a Microsoft Inner Circle Partner (the top 1% of partners worldwide) and has been recognized with Microsoft’s Customer Excellence Award for providing outstanding customer service. We pride ourselves on running a customer-centric practice that offers numerous value-adds to customers and the Dynamics GP user community, such as free training, educational blogs, webinars and more.